The Valletta 2018 Foundation released its Cultural Programme for the year 2017 earlier today. Check out the link below to view it! The Valletta 2018 Foundation earlier today launched its 2017 Cultural Programme, a publication which includes details on projects and cultural events which will be taking place in 2017. “The Valletta 2018 Cultural Programme is being consolidated as we prepare for the European Capital of Culture year which is now a year away. There are over 50 projects taking place next year which we invite the public to take part in for this to be a shared cultural experience.” Valletta 2018 Chairman Jason Micallef said during the presentation of the 2017 Cultural Programme held at the Panorama restaurant in Valletta. Projects are made up of a number of workshops, performances and exhibitions. This year, over 150,000 people took part in activities and projects related to Valletta 2018 such as the Valletta Green Festival, the Valletta Pageant and the Seas and Notte Bianca, amongst other. Volunteers will also be actively participating in cultural initiatives for next year’s cultural programme as they have done this year following the launch of Tal-Kultura last February. To date, 385 volunteers have joined Valletta 2018’s volunteer programme with SOS Malta. 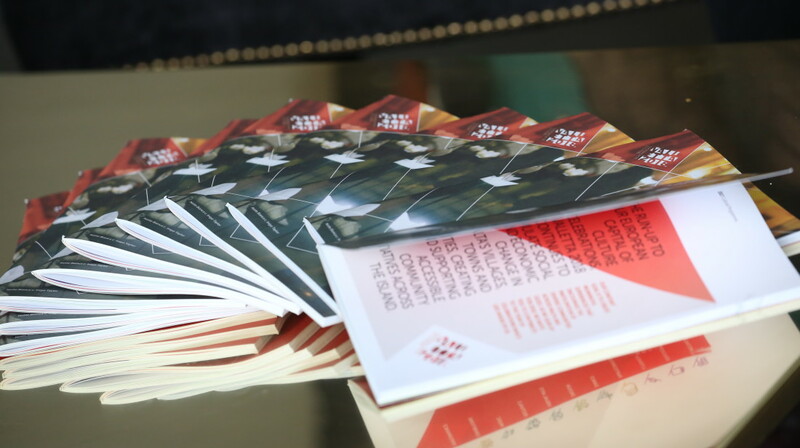 As with the 2016 Cultural Programme, the 2017 publication includes descriptions of the various projects found in the Valletta 2018 Cultural Programme. These include various festivals, education projects, and projects from a variety of artistic disciplines ranging from dance and theatre to visual arts and music. The Cultural Programme is being executed and constantly developed in the run up to 2018 when Valletta will be European Capital of Culture. The aim is to include numerous community members from across Malta and Gozo to come together and participate in artistic activities and projects which will be running throughout the year. An online version of the 2017 Cultural Programme can be found here.